A root canal treatment is necessary because of pain or infection. The inflamed and infected nerve tissue is removed and the root canals are sealed – usually over one or two visits. Done under magnification with the latest rotary root canal instruments. 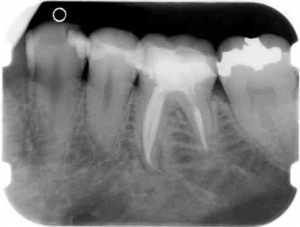 Most often the root filled tooth requires crowning or part crowning to strengthen the tooth.